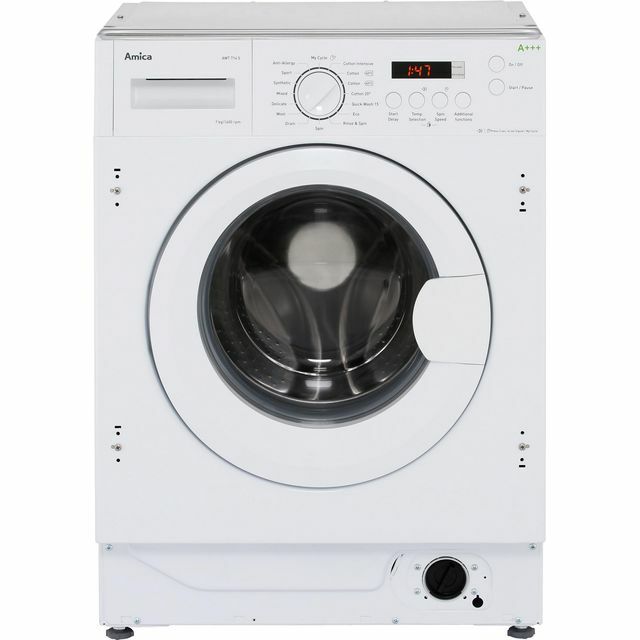 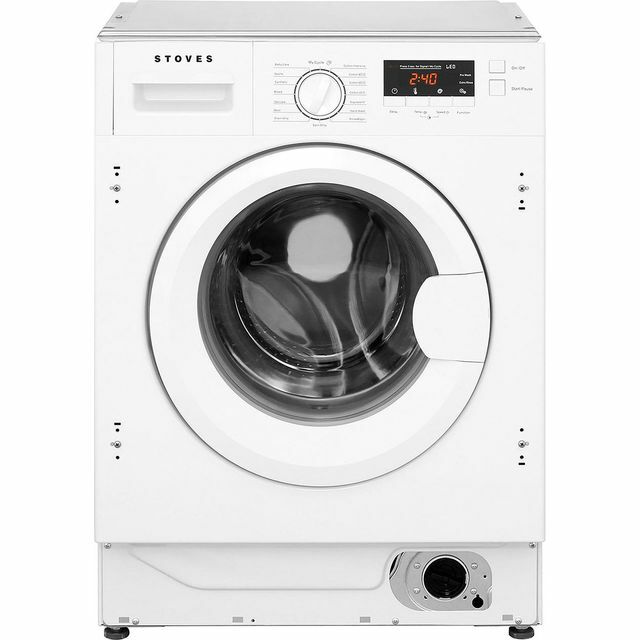 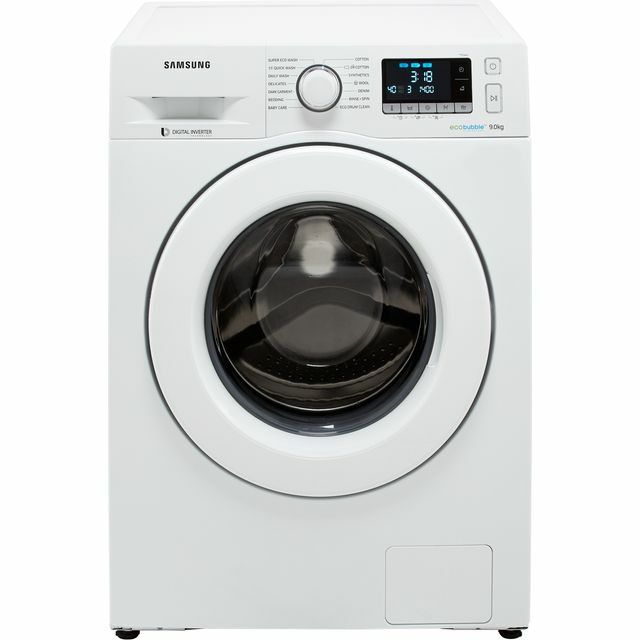 Freestanding washing machines are by far the most common type but there is a good choice of built-in or integrated type washers too. 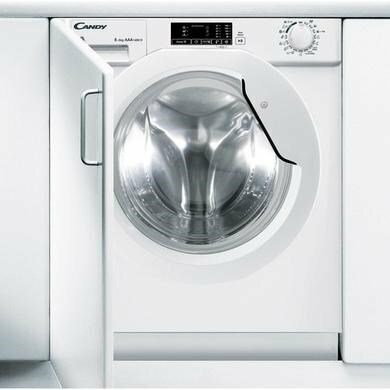 Integrated washing machines fit seamlessly into your new fitted kitchen or find an updated version to replace an existing older model. 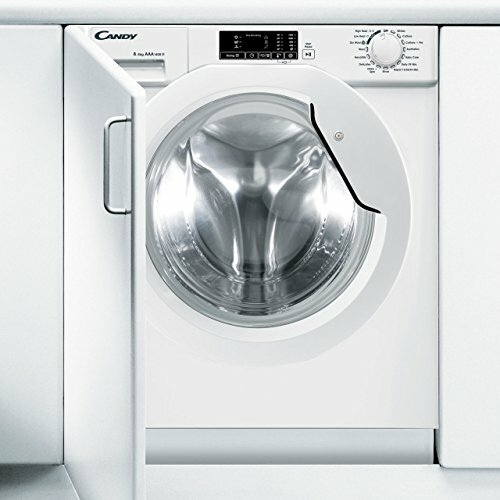 Designed to sit snugly behind a cupboard door for a streamline finish they suit many modern homes. 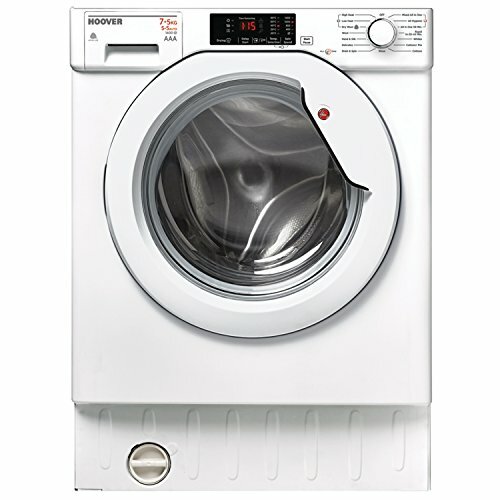 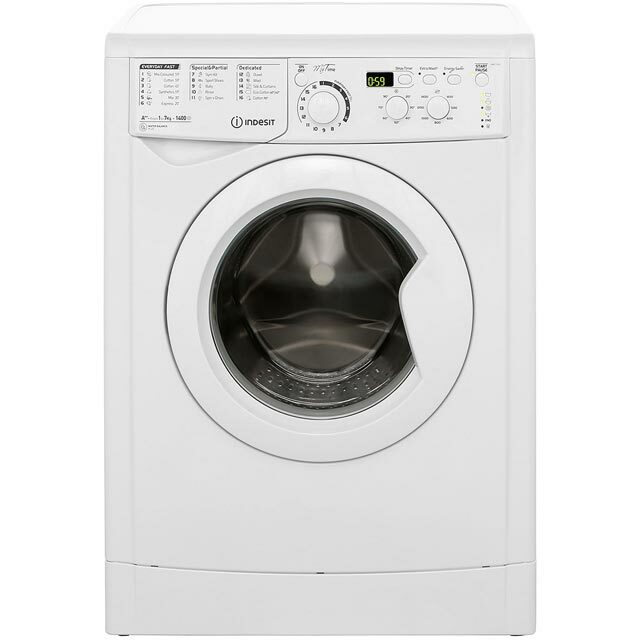 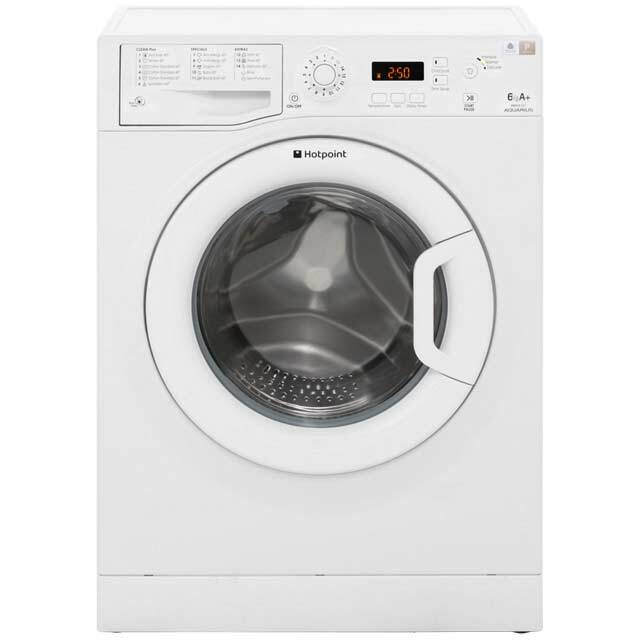 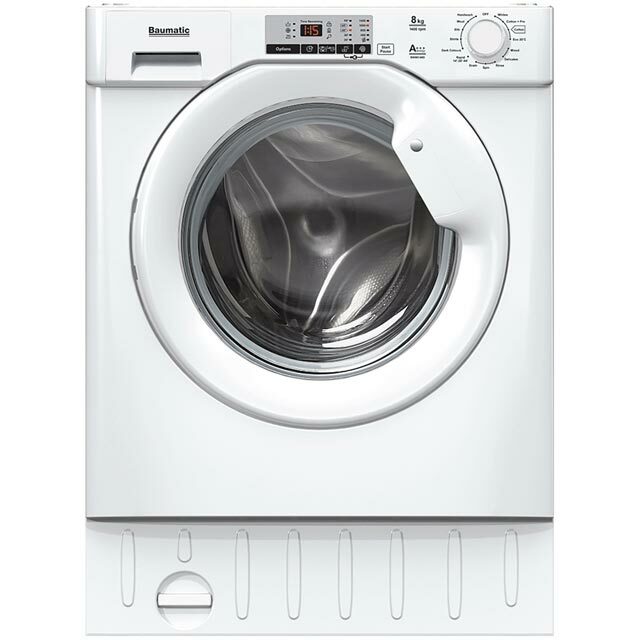 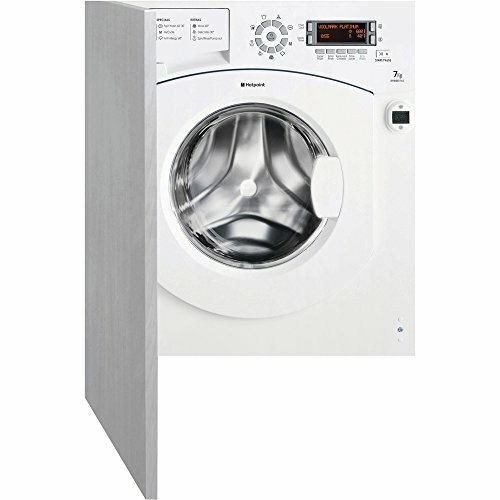 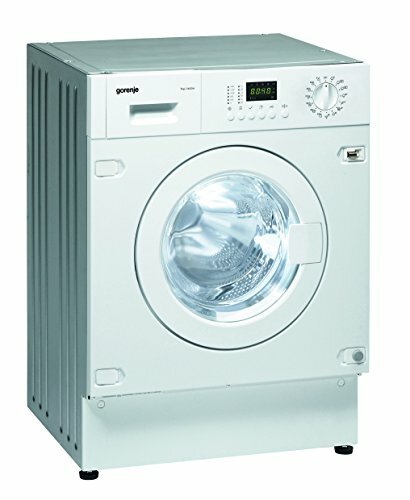 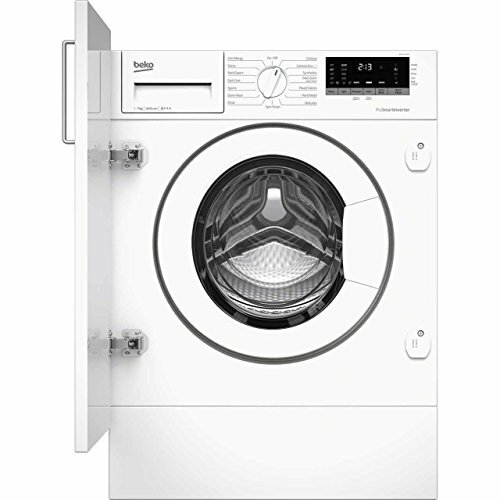 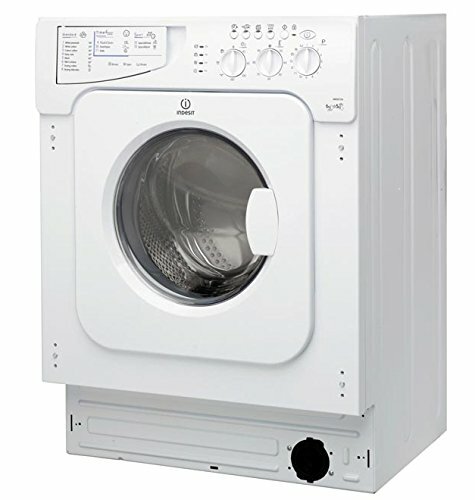 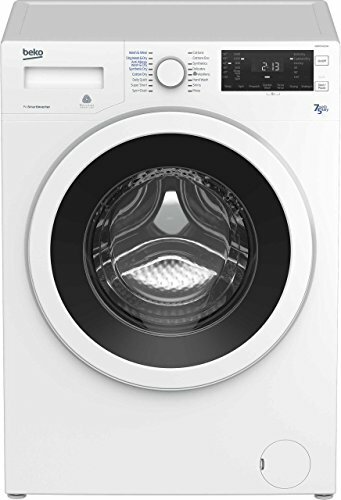 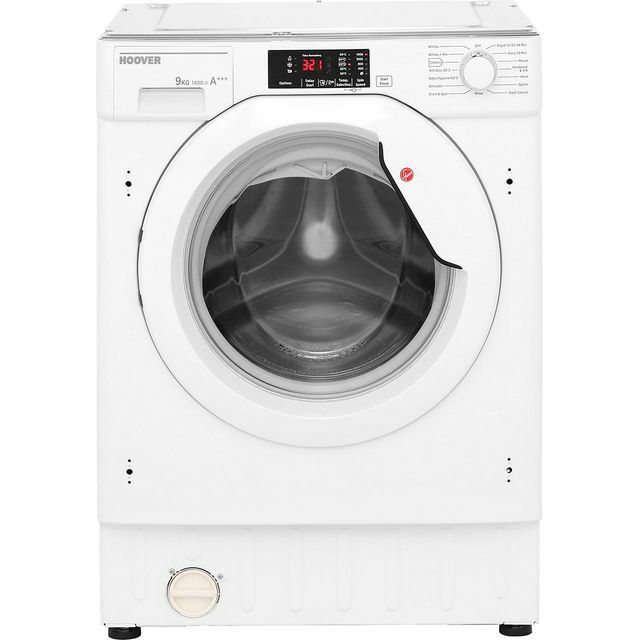 Well known manufactures of integrated washing machines include: AEG, Beko, Bosch, Logik, Bush, Neff, Hoover, Hotpoint, Indesit, Miele, Siemens and Zanussi. 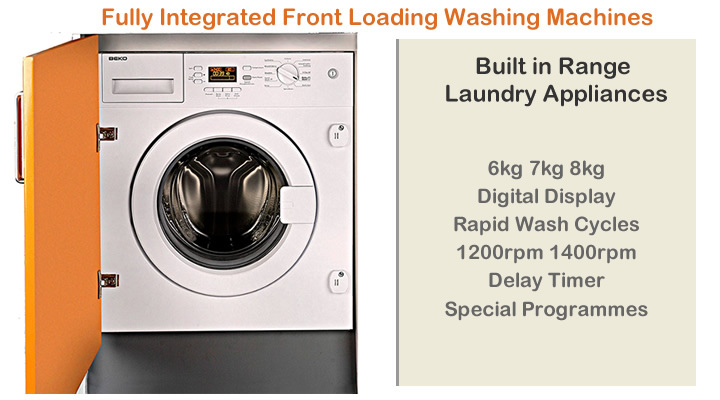 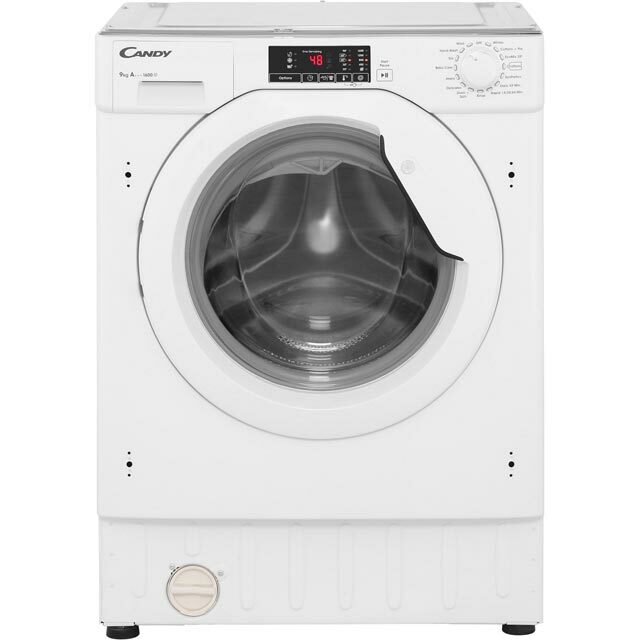 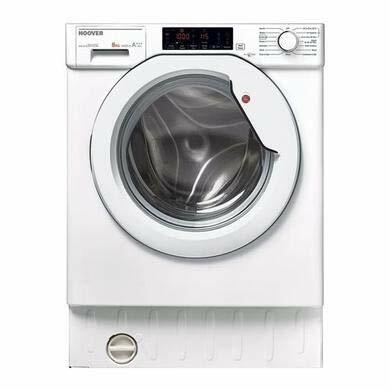 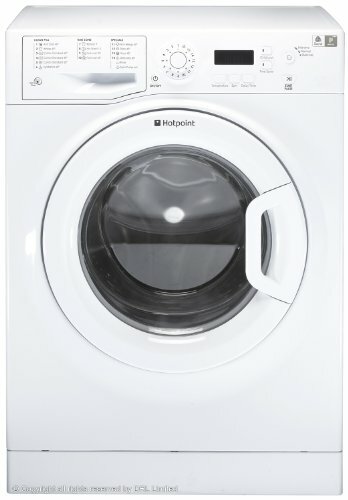 Find fully integrated front loading washing machines with 6kg, 7kg and 8kg wash loads with spin speeds 1200 rpm and 1400rpm. 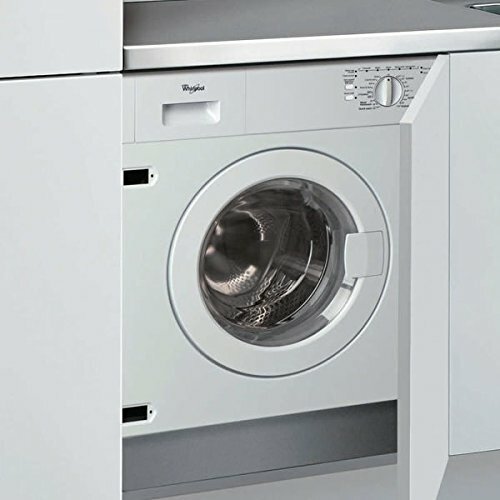 Built-in laundry appliance brands include: AEG, Beko, Bosch, Logik, Candy, Neff, Hoover, Hotpoint, Indesit, Miele, Siemens, Baumatic, Belling and Zanussi. 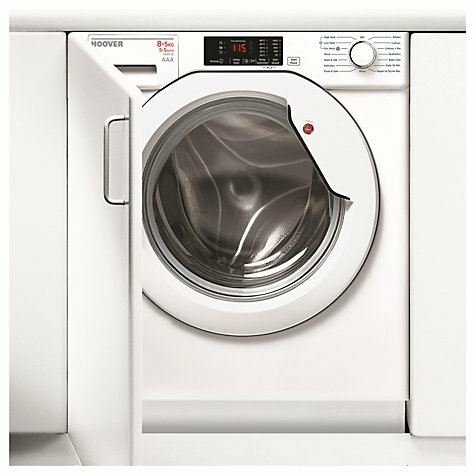 Buying an integrated washing machine will give a streamline finish as well as all the functionality of a freestanding model. 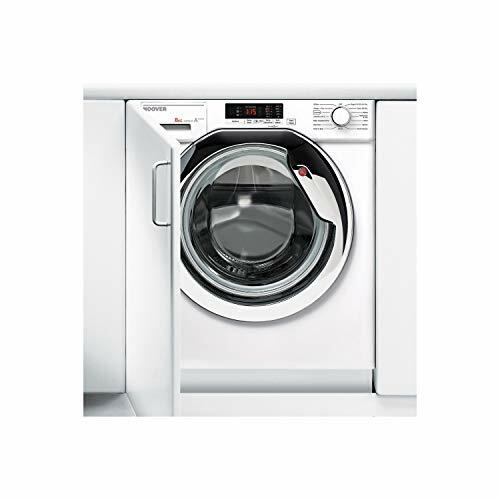 Designed to fit neatly under counter tops and blend in with any decor. Integrated washing machines can be found at most good electrical stores and online at John Lewis, Co-operative, VERY, Currys and Amazon. 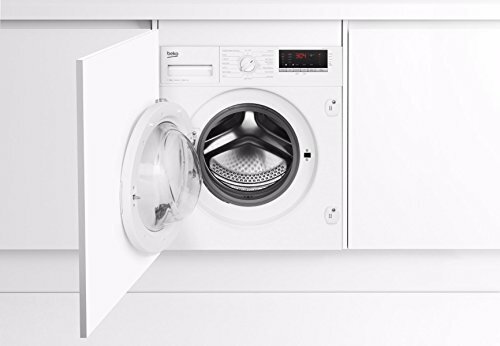 Designed to fit neatly under counter tops and blend in with any decor. 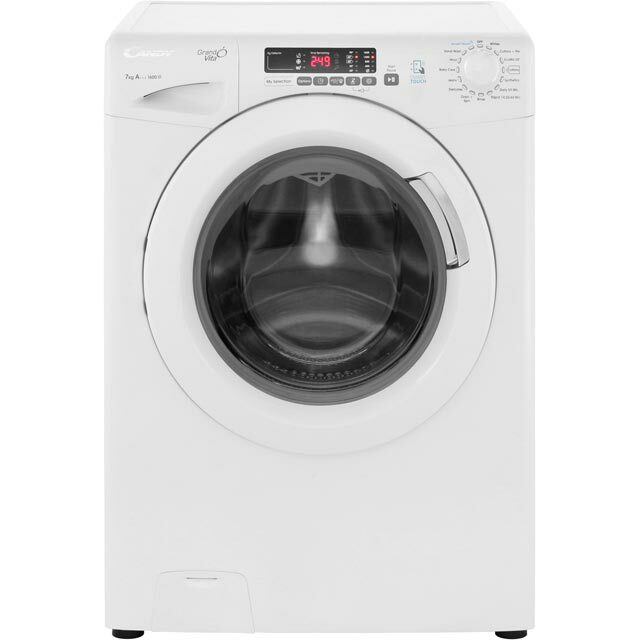 Integrated washing machines can be found at most good electrical stores and online at John Lewis, Co-operative, VERY, Currys and Amazon. 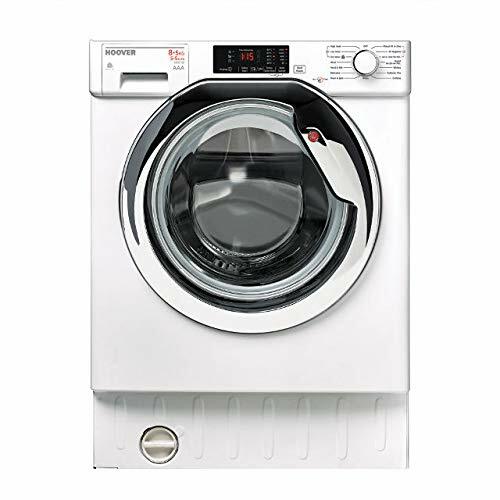 Prices will vary considerably depending on the brand, functions and drum size. 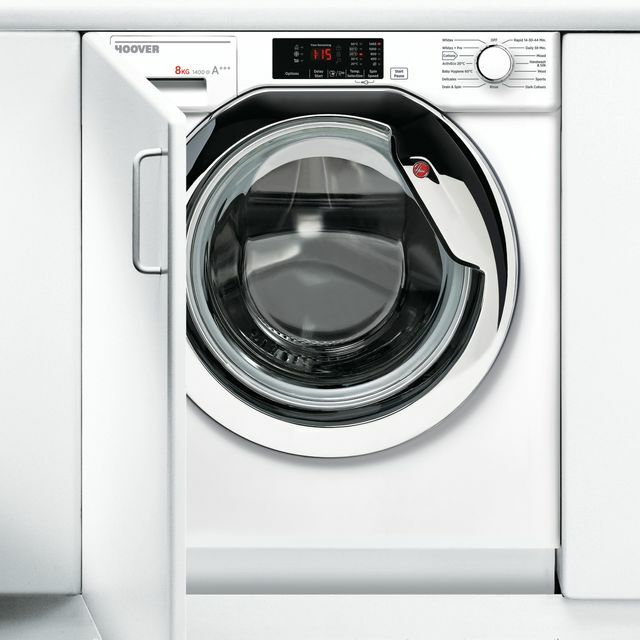 Quality built-in models from the likes of Miele can cost over £1000. 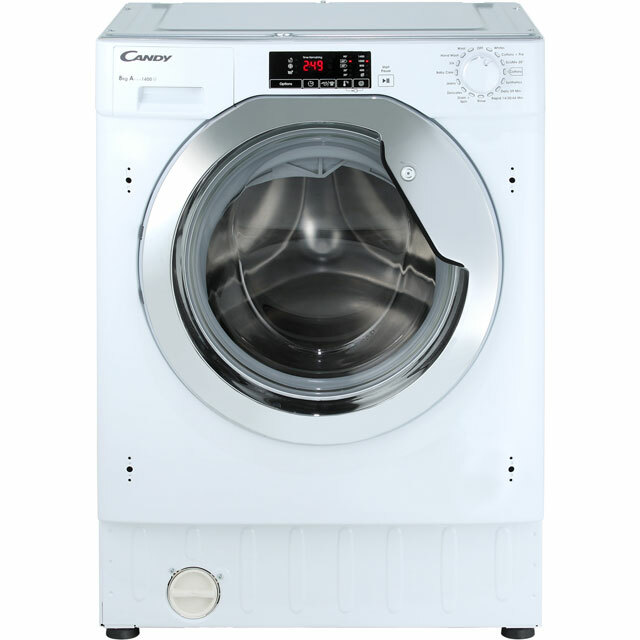 It’s not surprising as their range are super efficient, high performing and reliable. 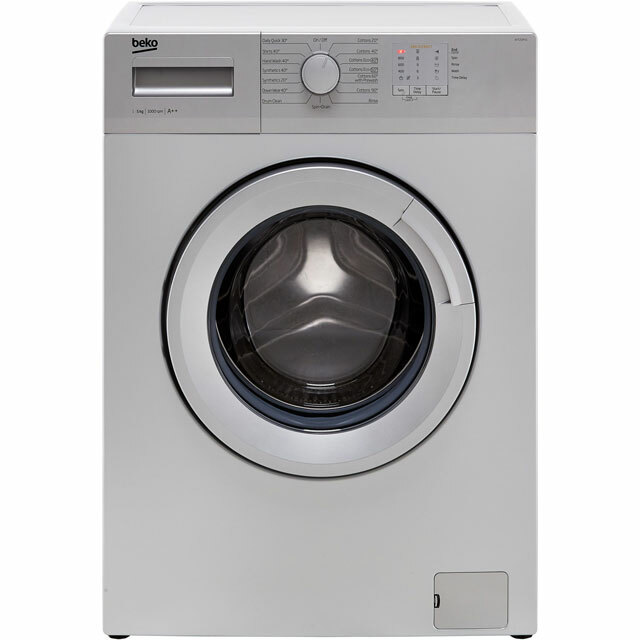 A more affordable price range can be found from around £300 to £800 other brands. 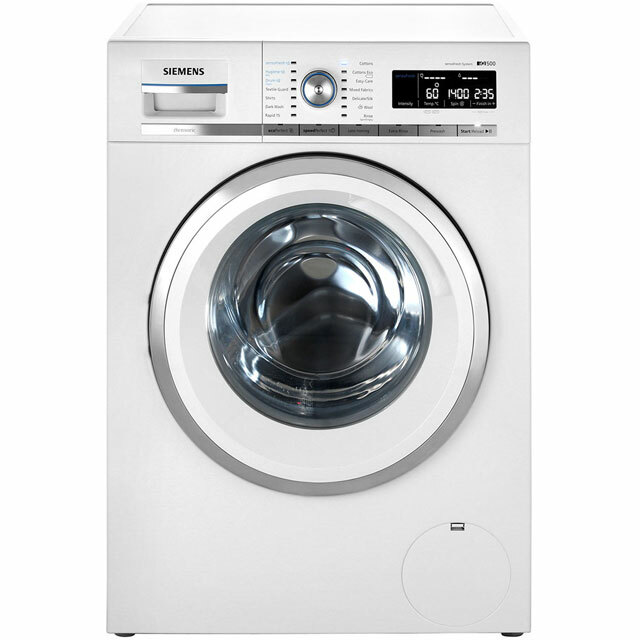 These come with maximum wash loads of 5.5kg, 6kg, 6.5kg, 7kg and 8kg. 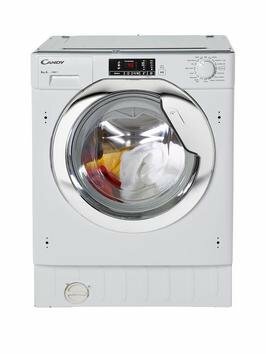 Variable spin speeds 1200 rpm, 1300 rpm and 1400 rpm. 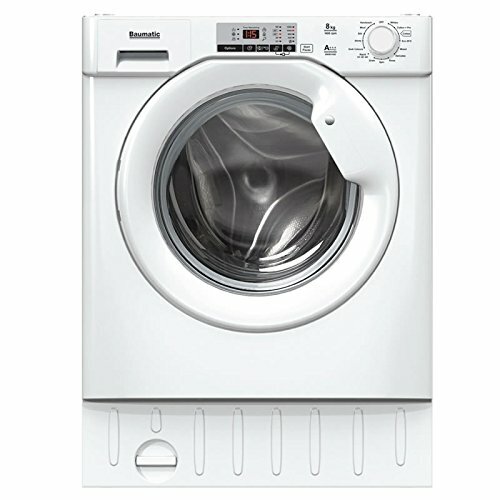 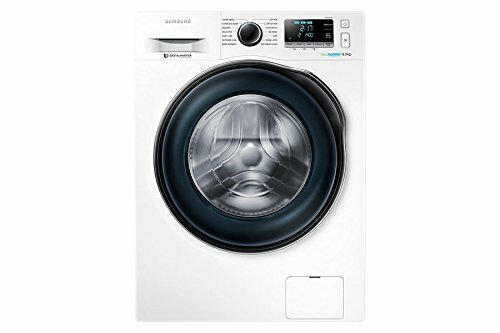 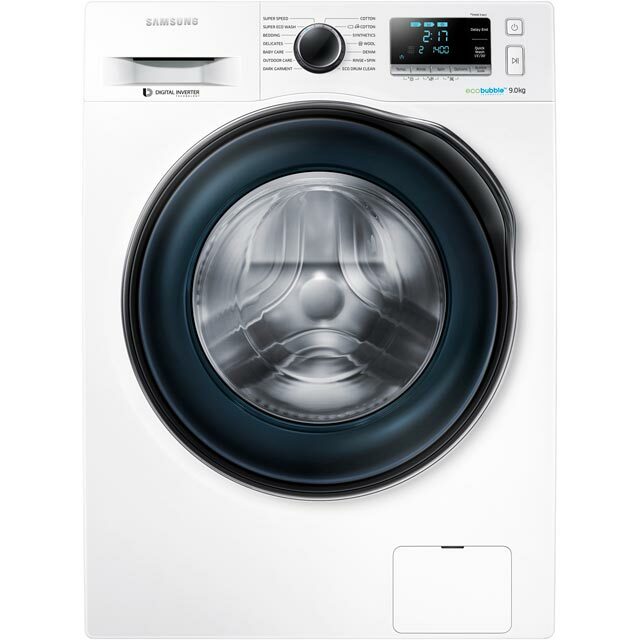 Most are at least A+ energy rated and have around 14 to 16 wash cycles. Specific programmes target a variety of laundry types including a sensitive wash for delicates, stain blaster, sports, silk/hand wash and easy iron. 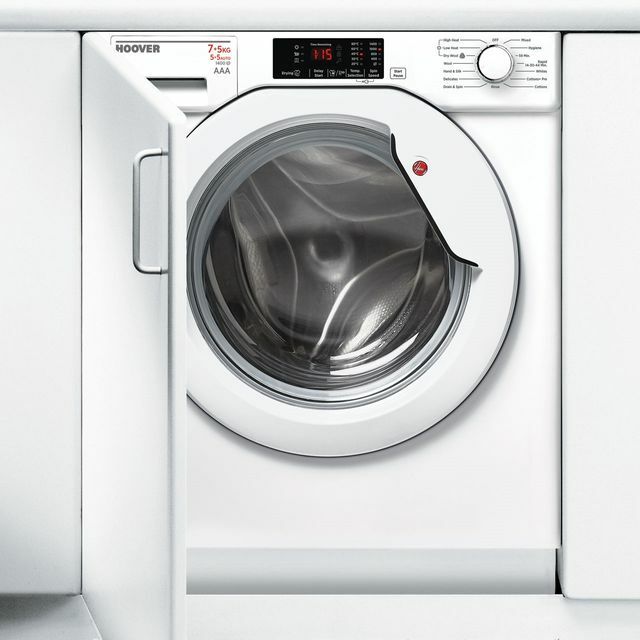 The great thing about integrated washing machines is the built-in nature of them. 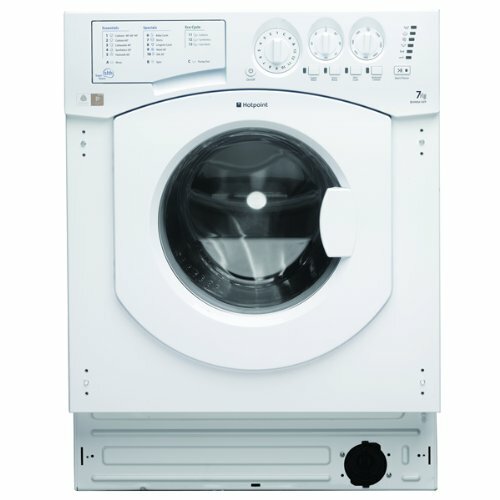 Being installed behind a cupboard door acts as additional sound proofing giving a quiet running washer. Expect all the basic functions as seen on freestanding types. An essential quick wash cycle can do a good job with lightly soiled loads in a speedy 15 minutes on some. 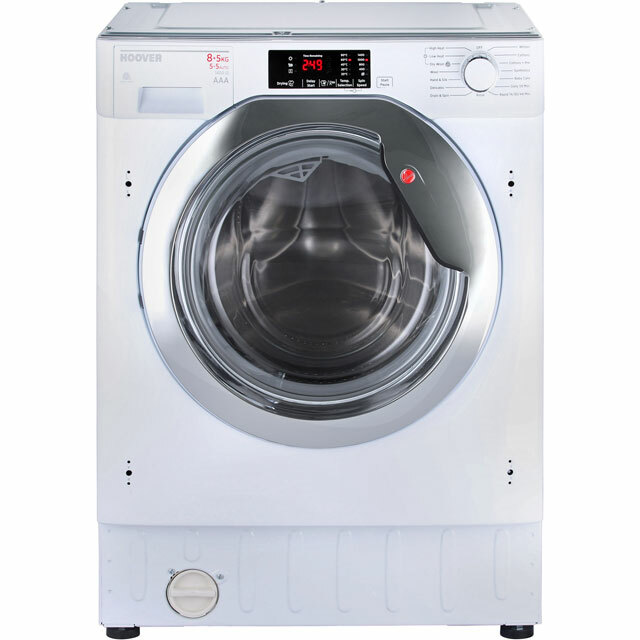 Useful features to look for are delay start, automatic load adjustment, LED digital display, overflow flood protection, rinse hold, program sequence and time remaining indicator. 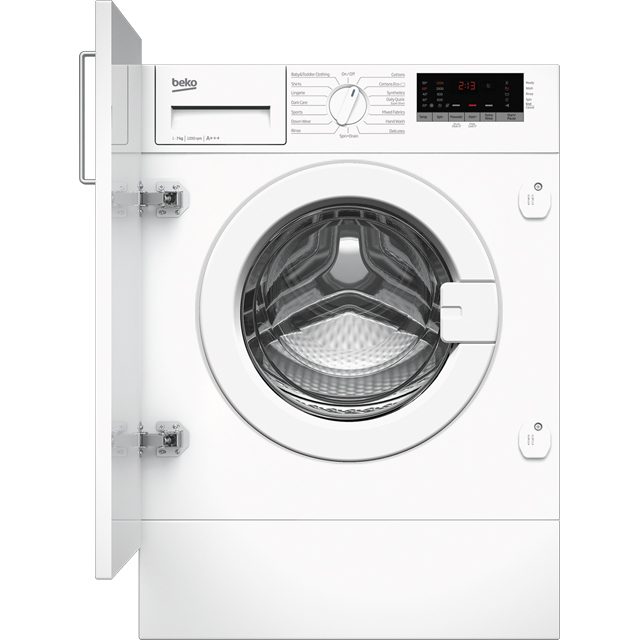 A wide door opening makes loading and unloading easy and the time saver function speeds up a wash. There’s a handy full or half load option on some models too.